The Russian machines insulate compartments in submarines from water vapour and make it easier for crew to breathe and function better. 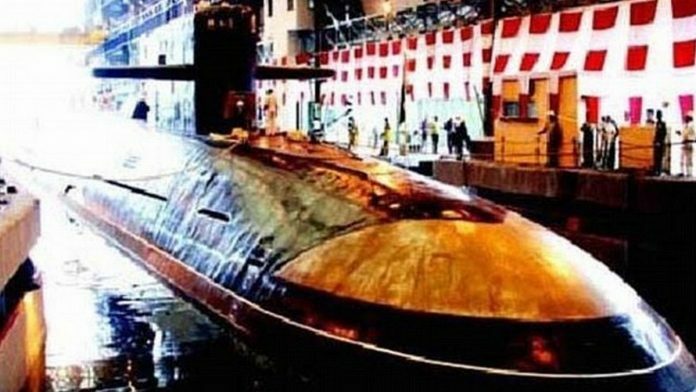 New Delhi: The Indian Navy’s submarine crew got a $600 million Dussehra gift from Russia – machines called ‘Moisture Separator Reheaters’ (MSRs) that will make their life under water easier. The MSRs will be particularly useful for the nuclear submarines India is building and the deal with Russia is an indicator that New Delhi is steadfast in its commitment to the project to build nuclear subs, sources said. Nuclear power enables submarines to be under water for up to two months without having to surface. But submariners, the men manning the boat, need the oxygen from air. The moisture that builds up in the humid, enclosed space in the submarine underwater absorbs oxygen and makes it difficult for crew to breathe and function effectively. MSRs insulate compartments in a submarine from water vapour and make it easier for crew to breathe and function better. The MSRs Russia began shipping to India Friday will be stored at the Kudankulam nuclear power plant in Tamil Nadu, the sources said. India has one nuclear submarine, the INS Arihant, launched in 2009, and is building five more at the Ship Building Centre (SBC) in Visakhapatnam under the nuclear submarine programme that began in 1974. The second in the series was initially named Aridaman but it was changed to Arighat. The Indian Navy also operates INS Chakra, an Akula-class nuclear-powered submarine taken on lease from Russia. INS Arihant — armed with nuclear tipped B-05 missiles with a range of over 750 km — was quietly commissioned in August 2016, pushing India into a select club of five nations with such technology. But within months it suffered an accidental breach and ingress of water, raising fears of reactor contamination. It was repaired and made operational in October 2017 after extensive tests showed that the damage was not as bad as initially feared.